An internal government watchdog is investigating the possibility that financial records tied to a company founded by Michael Cohen may have been leaked to the press. Rich Delmar, a spokesman for the Treasury Department’s Office of Inspector General, told ABC News on Wednesday that investigators are “inquiring into allegations that SAR information” – short for a Suspicious Activity Report – “has been improperly disseminated,” referring to reporting related to Cohen’s startup, Essential Consulting, LLC. The Treasury inspector general’s announced move comes less than a day after a memorandum outlining alleged banking and financial information was posted online by Michael Avenatti, an attorney for adult film star Stormy Daniels, whose real name is Stephanie Clifford. Delmar told ABC News that the Treasury IG inquiry stems from a report in the New York Times on Tuesday that appeared to include the same information Avenatti released. The Times story cited financial records its reporters had reviewed. Michael Avenatti, attorney and spokesperson for adult film star Stormy Daniels, listens to a reporters’ question during an interview at The Associated Press, March 21, 2018, in New York. Both Avenatti and the New York Times described millions of dollars in payments to Essential Consulting, LLC – a company set up by Cohen in October 2016 – from four companies: AT&T, Korean Aerospace Industries, global health care company Novartis AG, and investment firm Columbus Nova LLC. 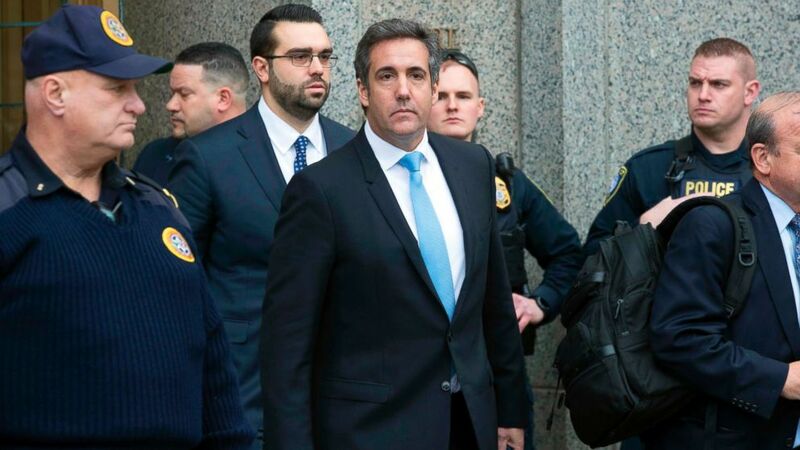 All four companies have since confirmed payments to Essential Consulting for various services they say Cohen offered. According to Avenatti’s document, Cohen used the same firm to pay out Daniels. Suspicious Activity Reports (SARs) are a channel for individuals or institutions to file allegations of improper financial transactions. SARs are enforced by the Treasury Department’s Financial Crimes Enforcement Network. On Wednesday, Avenatti took to Twitter to encourage media outlets to investigate the alleged SARs filed on Cohen’s Essential Consulting. Avenatti has repeatedly declined to reveal how he obtained the Essential Consulting banking information. In a legal filing submitted on Wednesday evening in the Southern District of New York, where Cohen faces a criminal investigation, attorneys for Cohen asked the court to deny Avenatti’s application for admission to the case. Avenatti requested access to the case when it was revealed that documents seized from Cohen’s office may have included communication about Avenatti’s client, Stormy Daniels. In a subsequent tweet, Avenatti called Cohen’s attorney’s submission to the court “baseless, improper and sanctionable” – though apparently conceding that some of the information may have been incorrect.